Your feedback is what we use to make enhancements and add features to our products and services. A great example of this is our freshly overhauled ClareHome App. We used direct feedback from our beta users to add features and iron out issues. 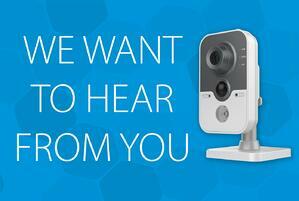 A Clarevision Plus 2MP Cube Camera will be given away to one of the participants. You must submit the feedback form to be eligible. I will personally get in touch with our lucky winner to announce the good news!